Oh my god a deformed undead, a gargoyle and an entire legion of ghouls, and that deformed undead is obtained through Death Coil (with Runic Corruption), sounds pretty good :D! 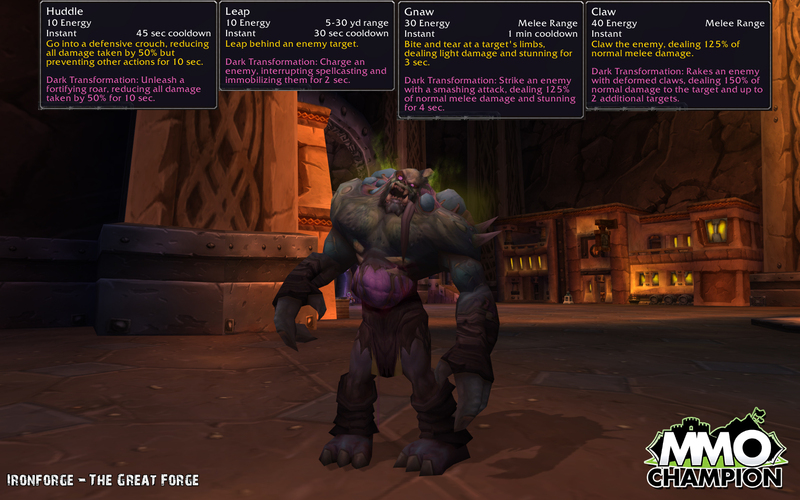 can be considered as the resources for Unholy Death Knight, each stacks of increase raised Ghoul's damage dealt by 10%; one can have 5 stacks of max. ghoul's abilities are empowered and take on new functions while the transformation is active. Damage dealt increased by 200%.